Twist, twirl and squish this Sensory Twistz! Includes twenty connected balls that come together as a circle or pop apart as different strands for kids to manipulate and create. 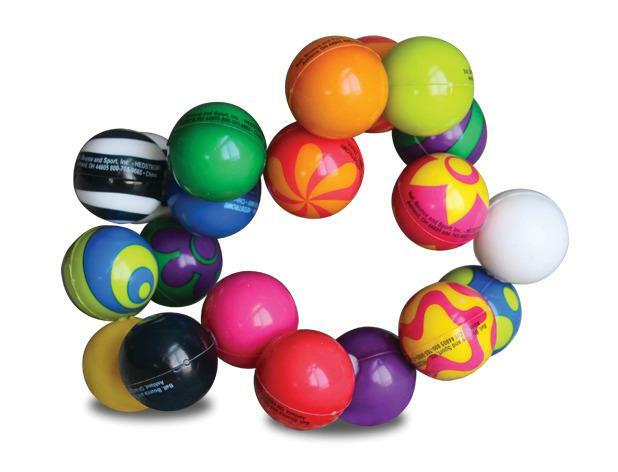 The connected foam balls come in bright colors and patterns but have a smooth uniform texture for visual and tactile sensory appeal. Kids and adults alike will enjoy this fun and functional toy! Dimensions: L: 9.7" x W: 10.2" x H: 2"